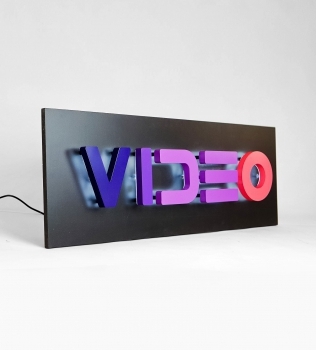 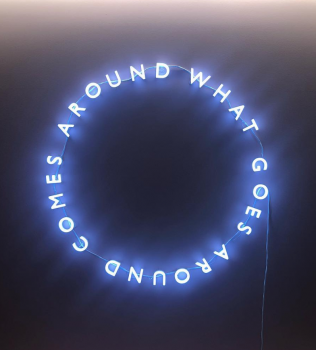 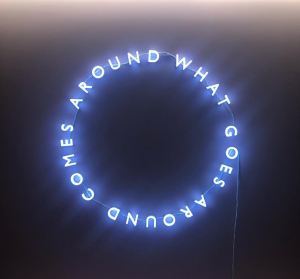 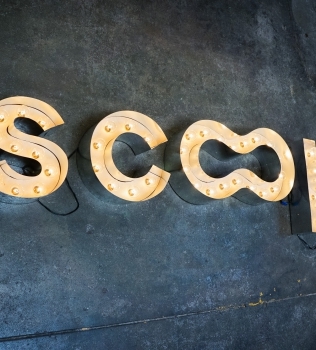 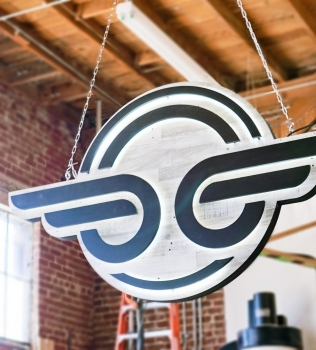 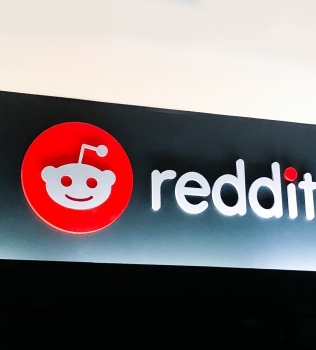 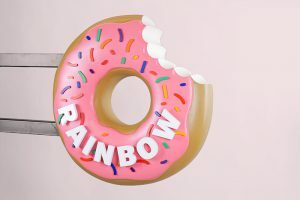 Halo-lit, retro-style, portable "VIDEO" sign with gradient for Facebook, an American online social media and social networking service company. 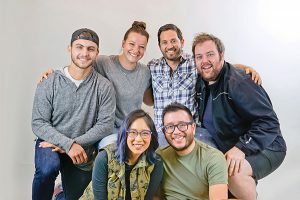 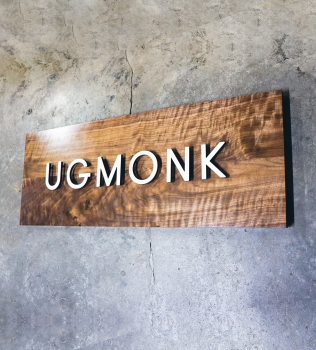 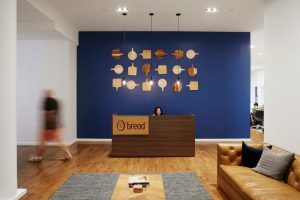 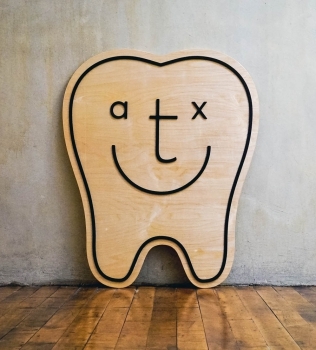 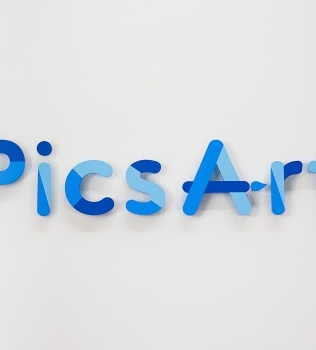 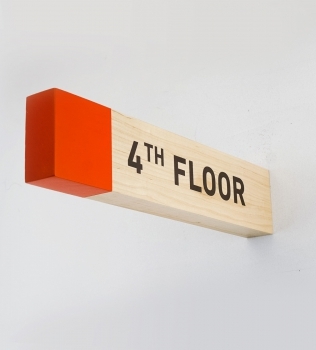 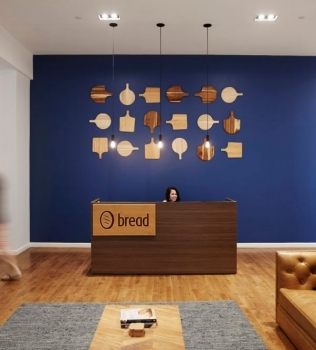 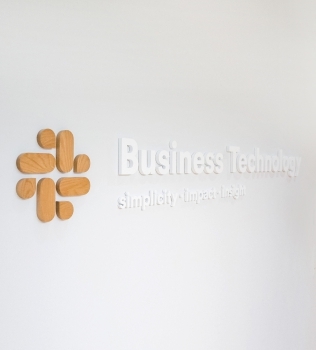 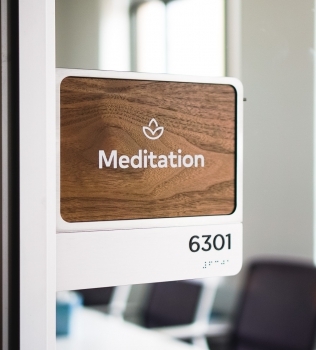 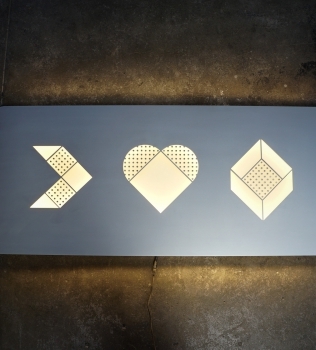 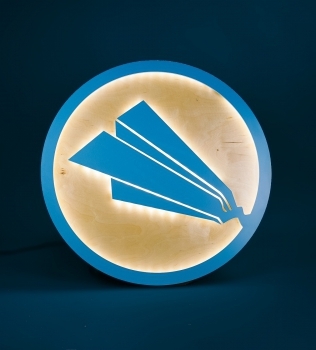 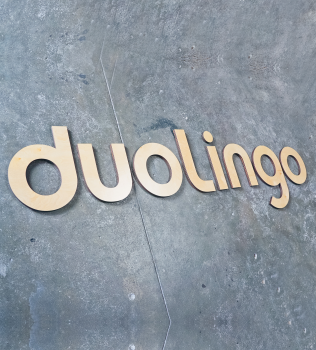 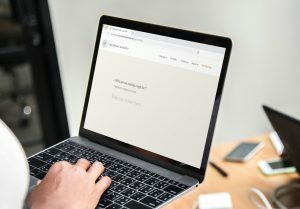 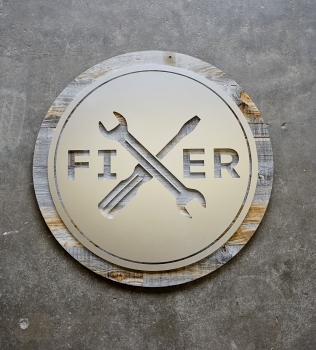 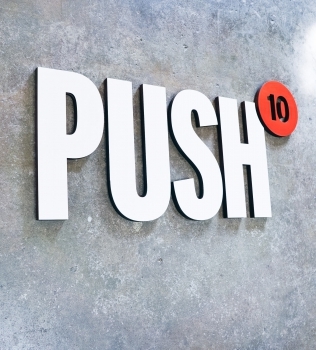 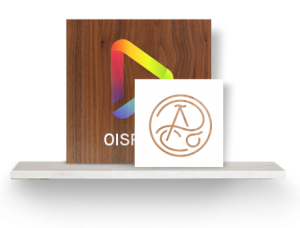 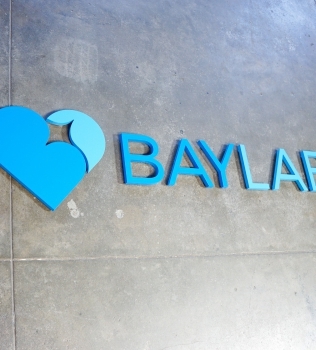 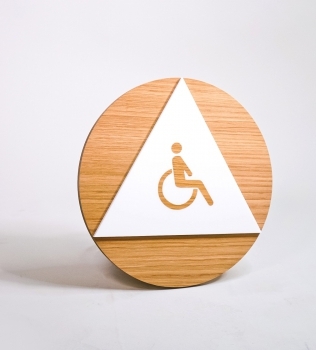 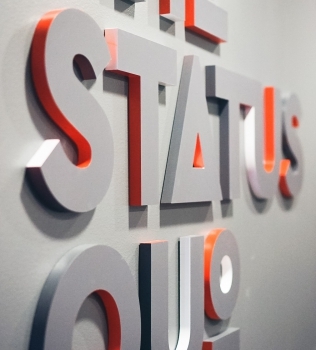 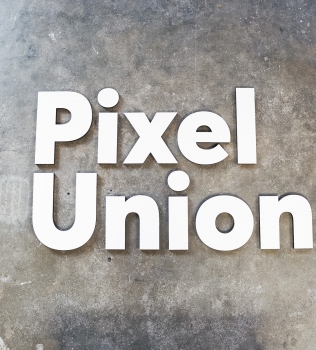 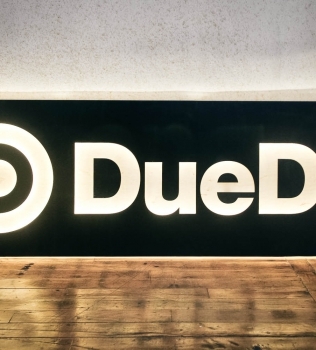 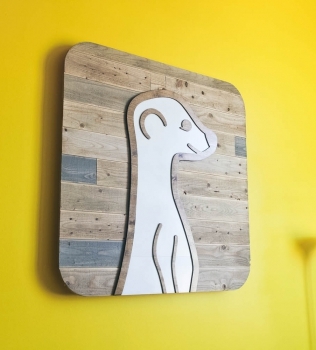 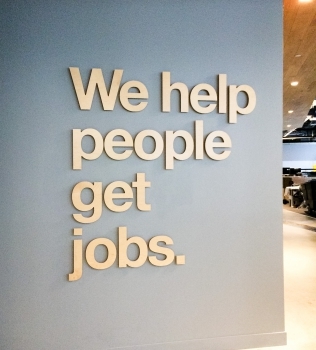 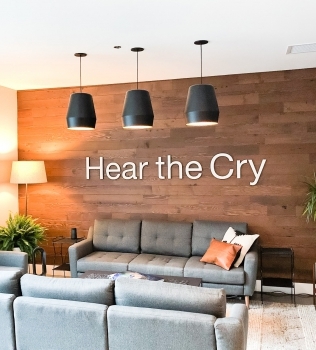 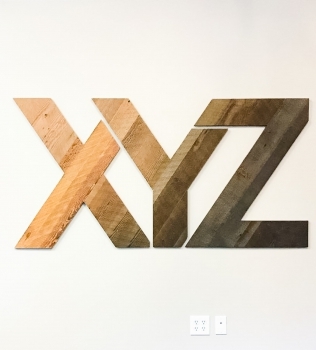 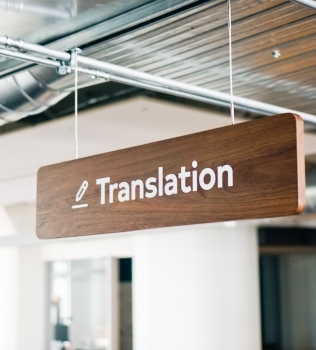 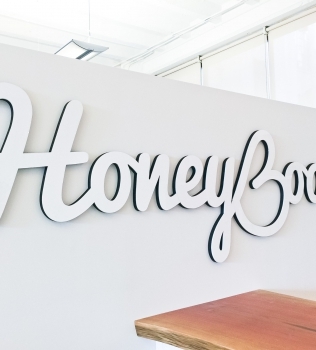 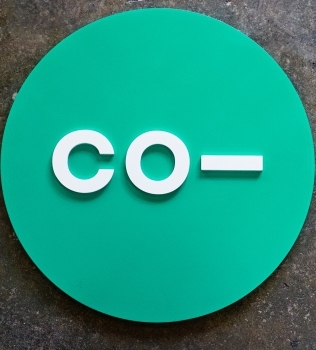 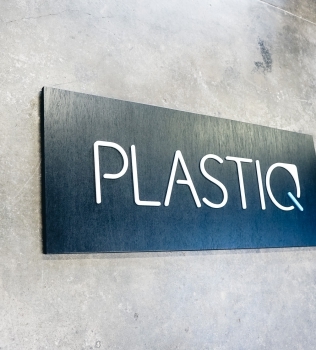 Dimensional sign with wood icon and white lettering on a white wall at the San Francisco office of Slack, an American cloud-based set of proprietary team collaboration tools and services. 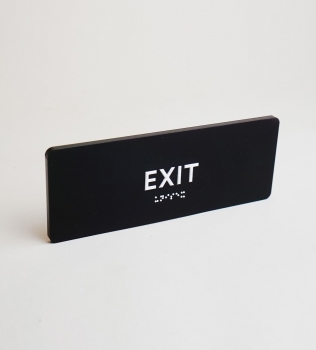 Modern black and white ADA exit sign with braille and raised text. 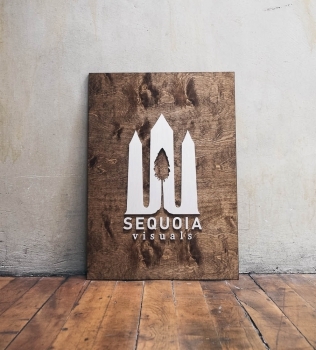 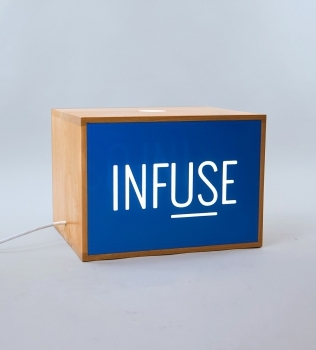 Custom wood and painted lightbox sign for Infuse, a San Francisco based full-service design and software development agency. 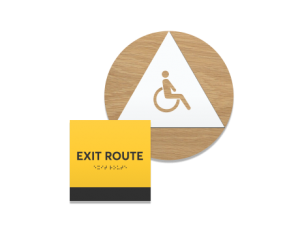 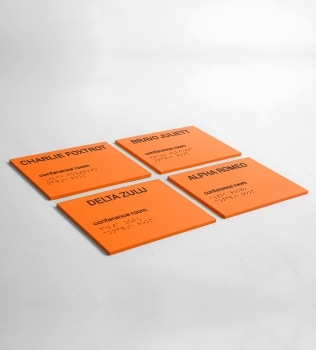 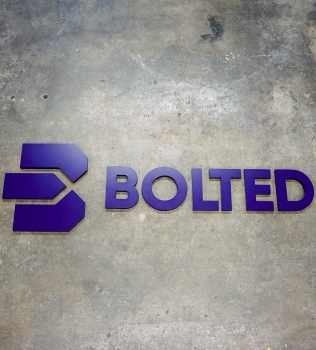 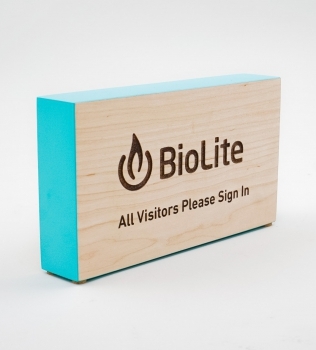 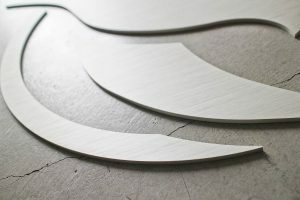 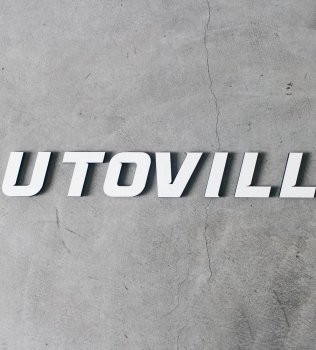 Overhead wood wayfinding signs for Biolite, a New York City based startup that develops and manufactures off-grid energy products for both the outdoor recreational industry and emerging markets. 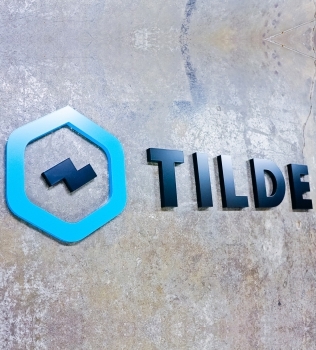 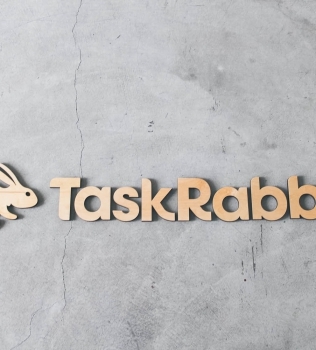 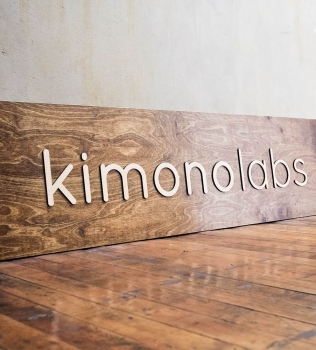 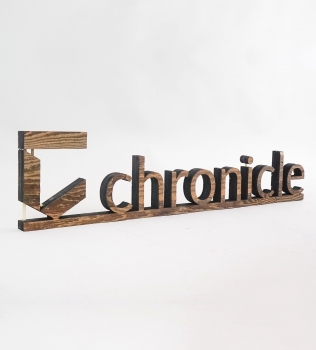 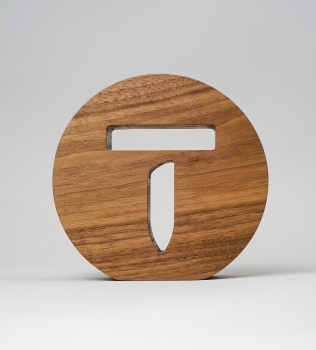 Wood message board with rails and clear letters for the office of Thunkable, a cross-platform app builder that enables anyone to build their own native mobile apps. 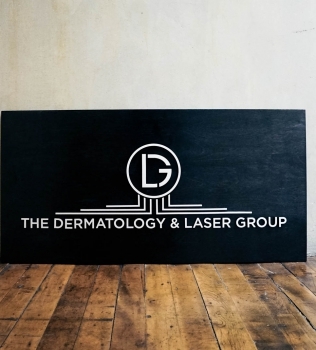 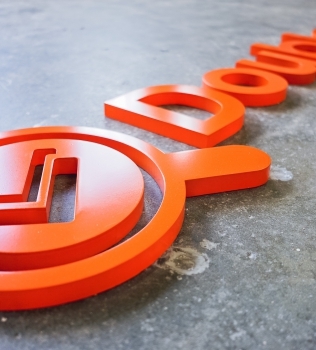 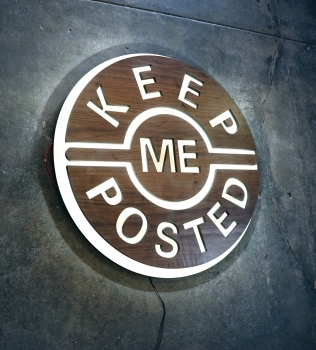 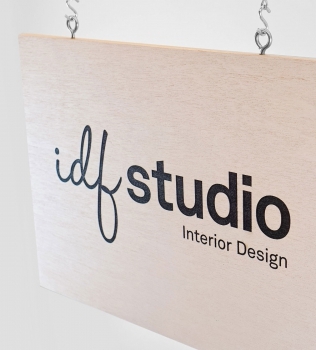 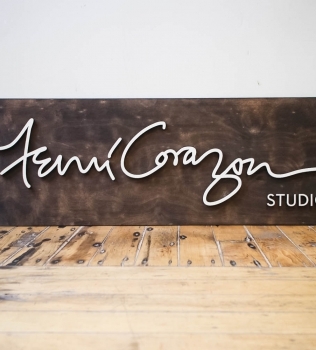 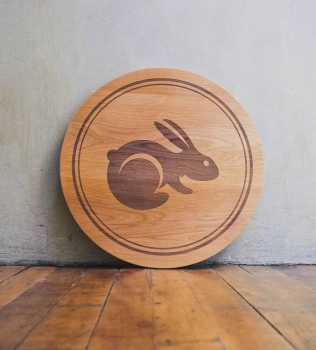 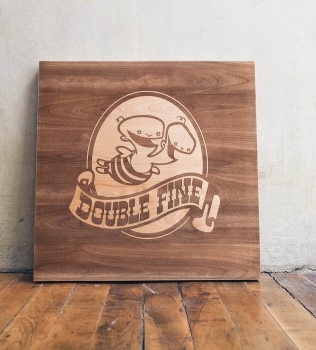 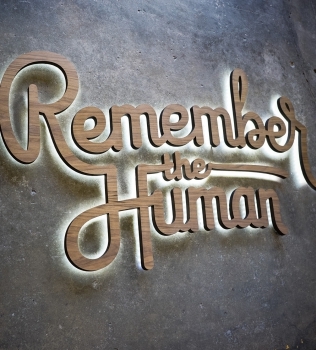 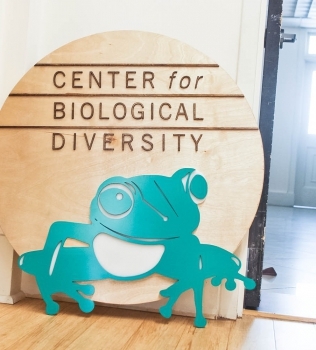 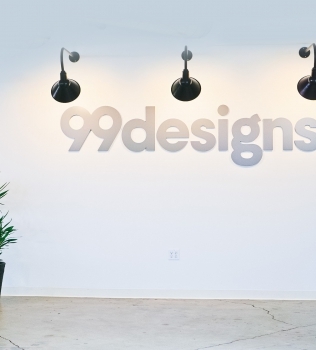 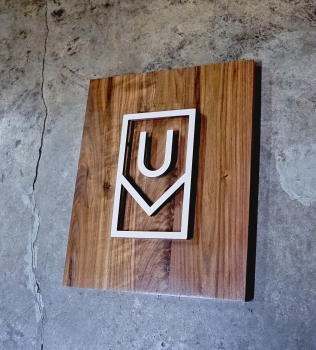 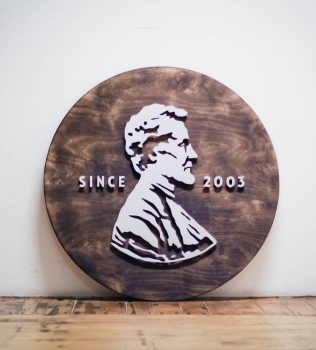 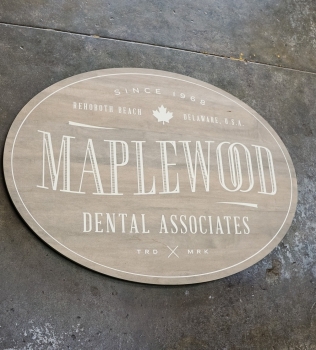 Etched weather resistant wood sign for IDF Studio, an interior design agency based in San Francisco. 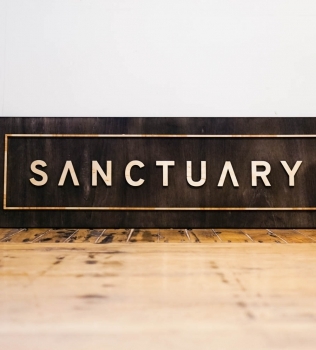 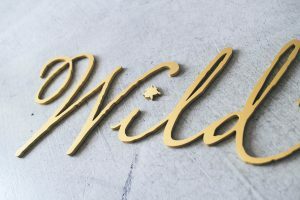 White letters for reclaimed wood wall for Hear The Cry, an organization bringing hope and a future to women and children through grass roots efforts in areas of need. 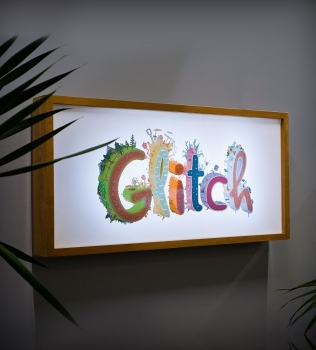 Backprinted full color lightbox sign with wood frame for Glitch, a browser-based, massively multiplayer online game—eventually becoming Slack. 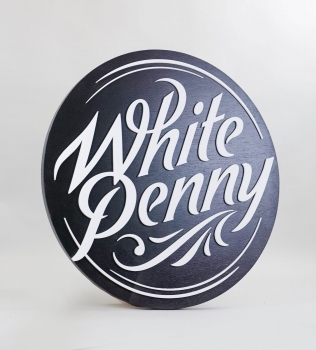 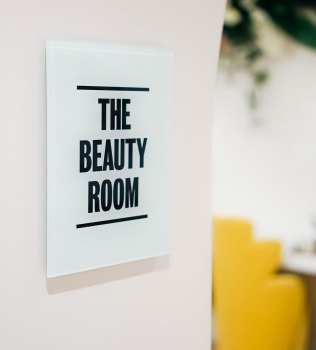 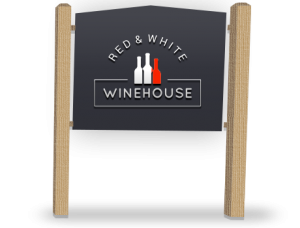 Black and white round raised sign with intricate lettering for Whitepenny, a web development, design and branding firm based in New Jersey. 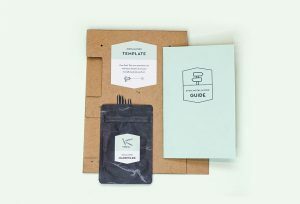 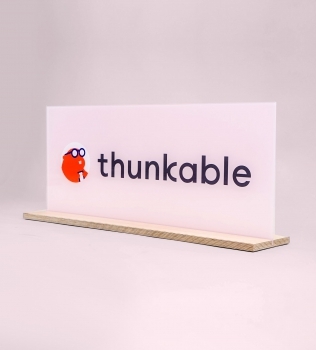 Glass-like, freestanding, pale pink back printed sign for Thunkable, a cross-platform app builder that enables anyone to build their own native mobile apps. 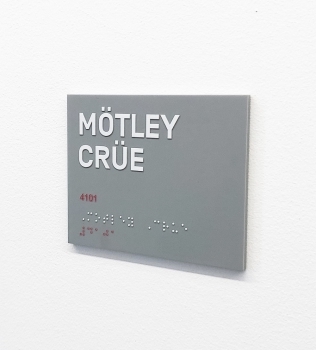 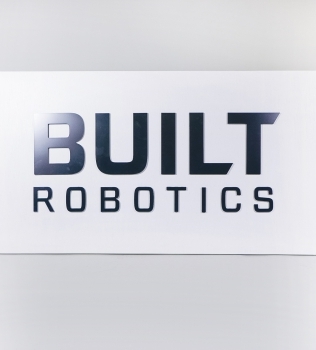 ADA room sign for Kite, a company that augments coding environments with the use of internet’s programming knowledge and machine learning. 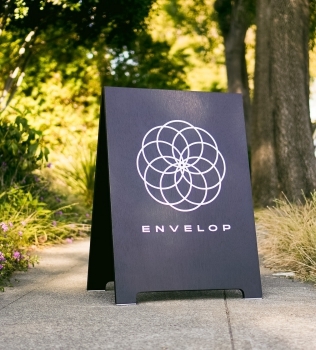 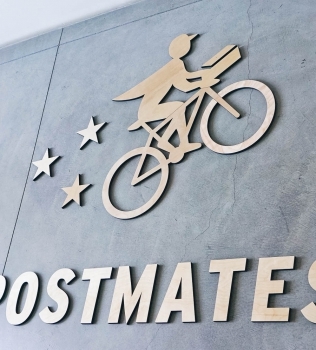 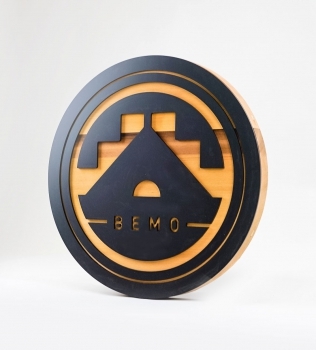 Raised matte black and cedar round exterior sign for BEMO, a Los Angeles based creative studio specializing in VFX, Animation and Immersive Content. 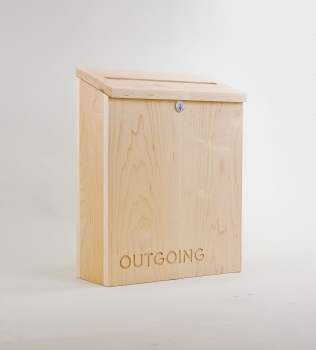 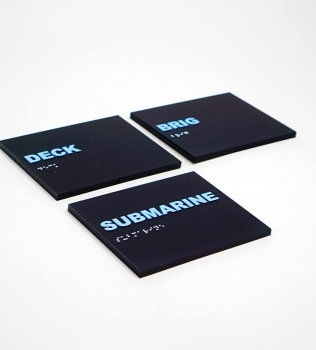 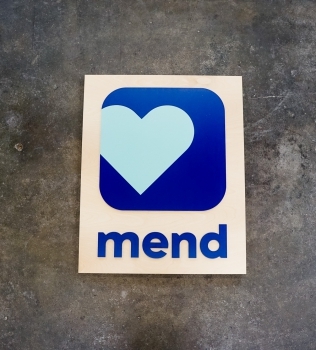 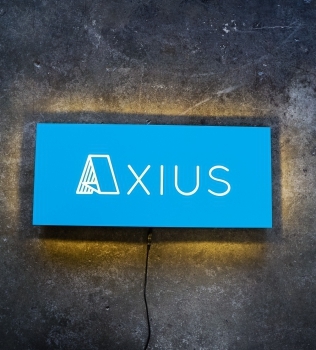 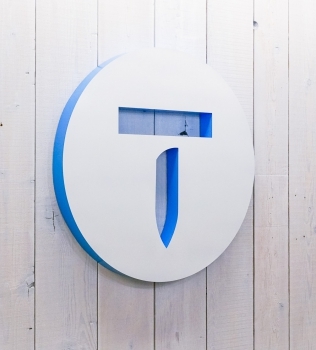 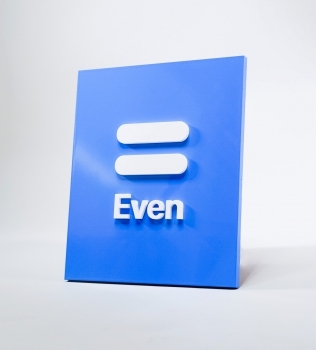 Blue letters on white rectangular panel for 10 Branch, an organization that mentors early stage companies. 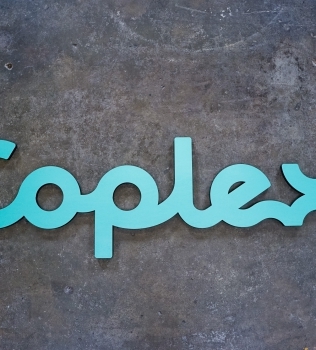 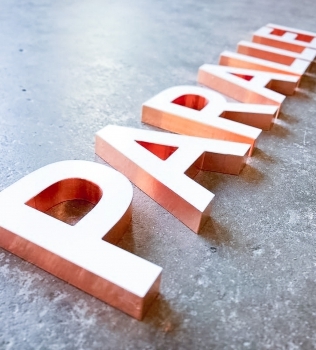 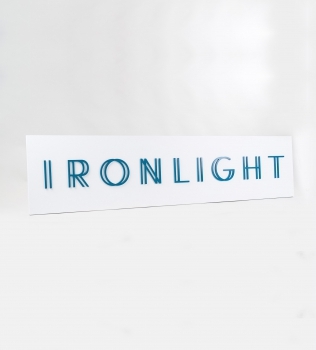 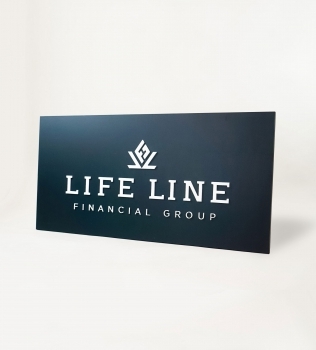 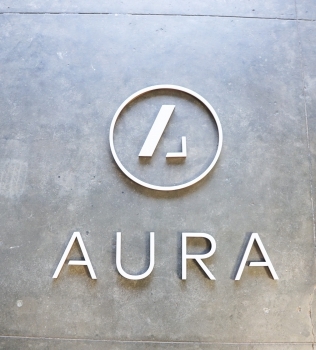 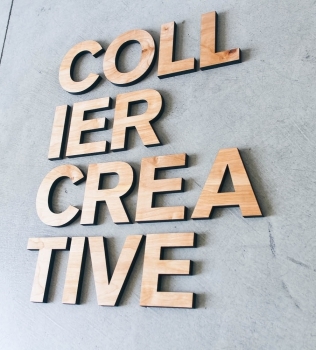 White letters with copper edges for Parallel Design Group, a commercial interior design firm based in Indianapolis, IN. 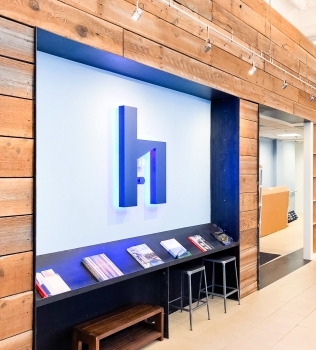 Blue painted, halo-lit, illuminated sign for HelloOffice, a San Francisco technology-powered commercial real estate brokerage helping companies search for office space. 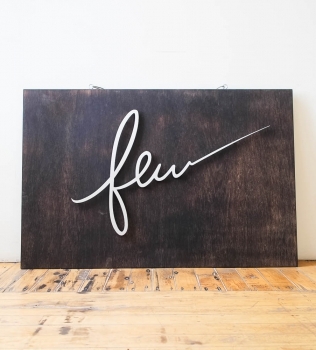 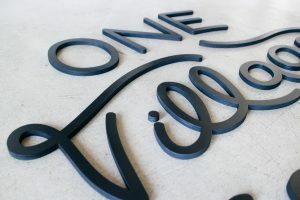 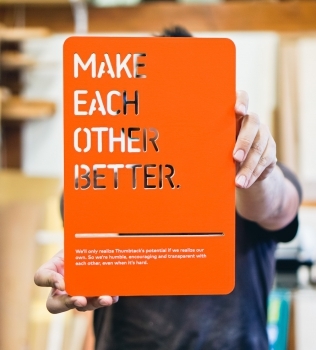 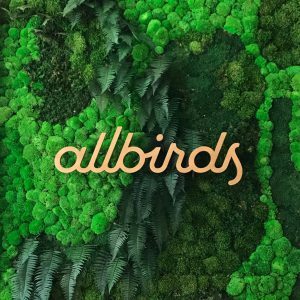 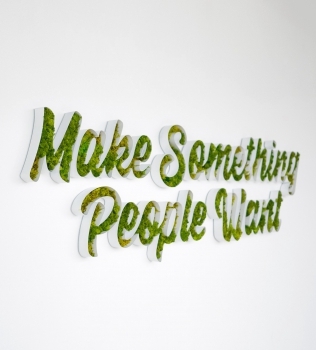 Light wood script sign on knotted wool panel at the San Francisco headquarters of Allbirds, a San Francisco-based direct-to-consumer startup aimed at designing environmentally friendly footwear. 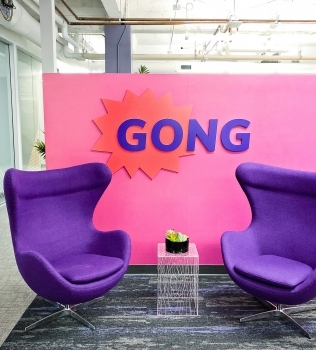 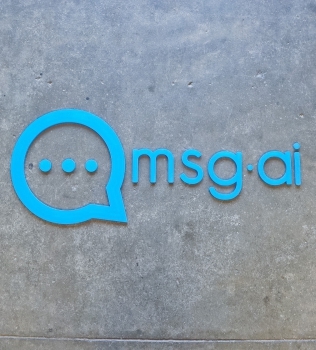 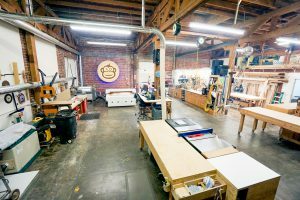 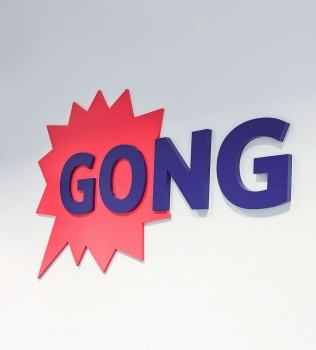 Red and purple painted sign for the San Francisco lobby of Gong, makers of a conversation intelligence platform for sales. 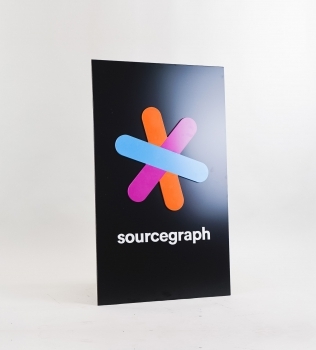 Simple black blade sign with colored logo for Sourcegraph, a San Francisco-based company that adds code intelligence to GitHub and other code hosts. 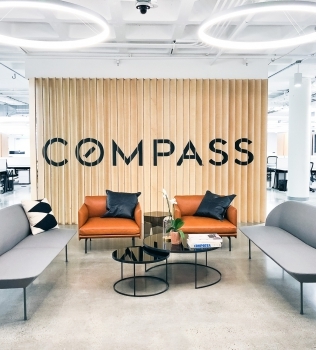 Multi-panel wood sign/privacy screen with optical-illusion at the San Francisco office of Compass, a modern real estate platform. 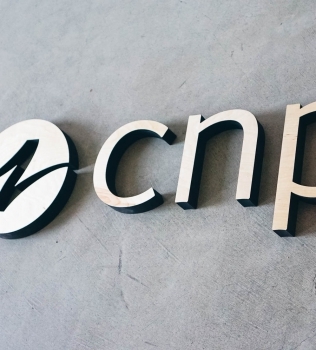 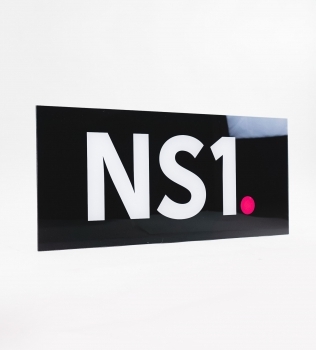 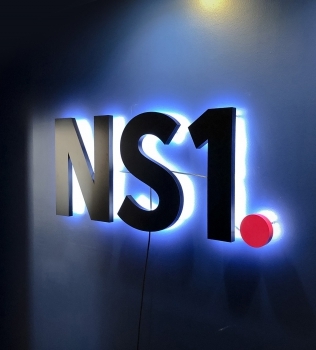 Glossy black, back-painted sign for NS1, a San Francisco based company that manages DNS and traffic technologies. 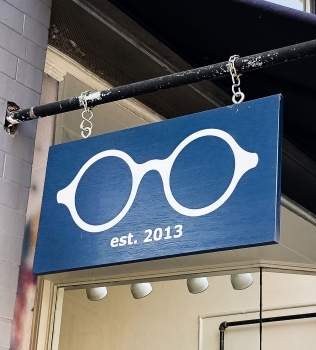 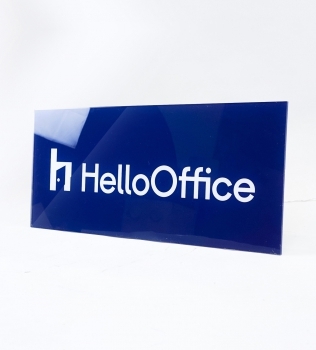 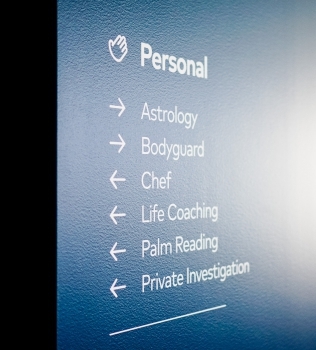 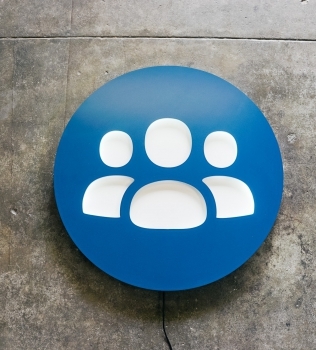 Glossy navy blue sign with white artwork for HelloOffice, a San Francisco based commercial brokerage built by startup founders, for startup founders. 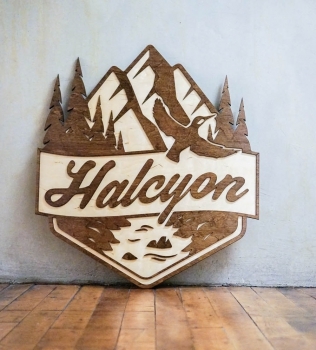 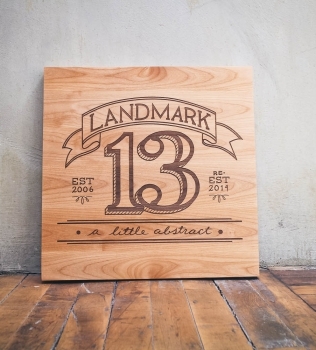 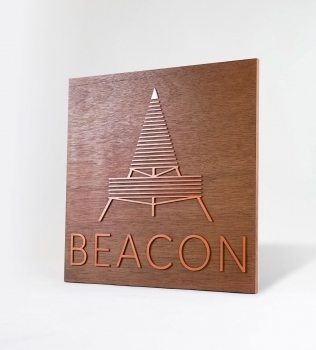 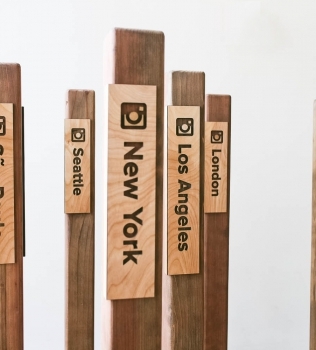 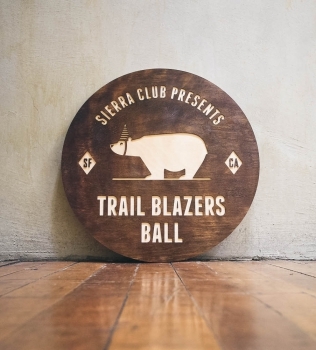 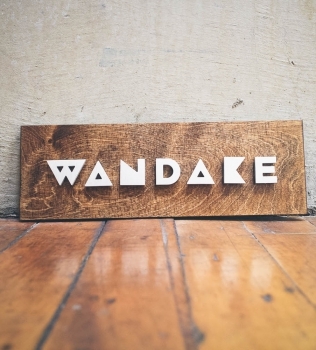 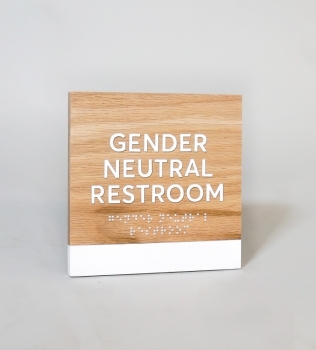 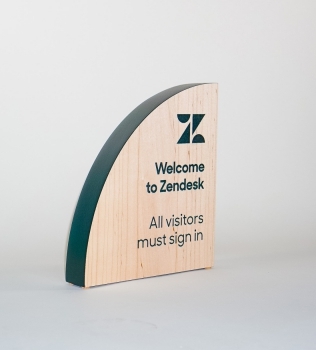 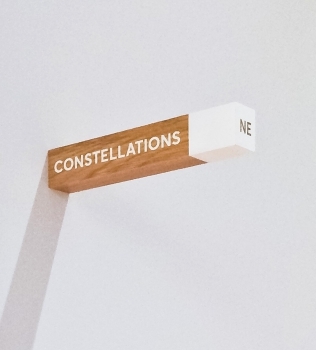 White-painted wood, national park-inspired, overhead wayfinding sign for the office of Slack, a cloud-based set of proprietary team collaboration tools and services. 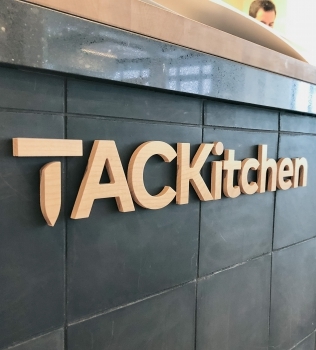 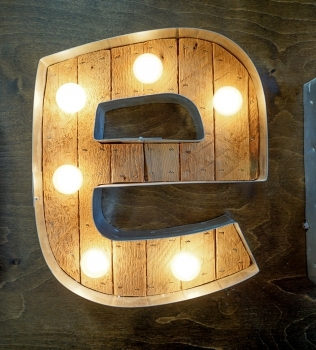 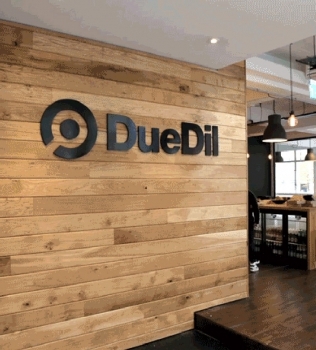 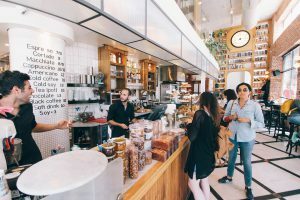 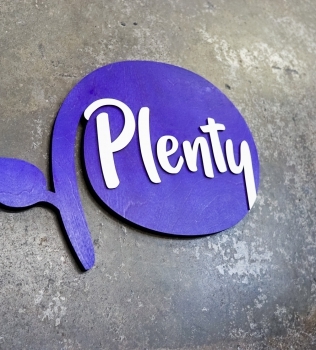 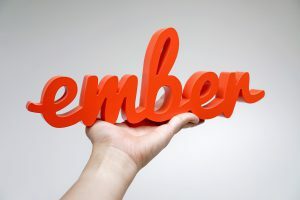 Wood letters on front counter at the cafeteria/kitchen of Thumbtack, an online service that matches customers with local professionals. 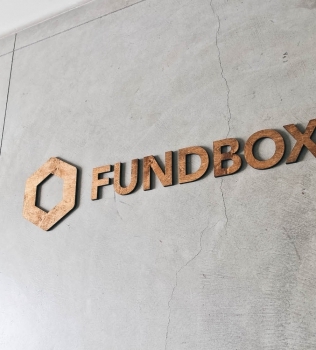 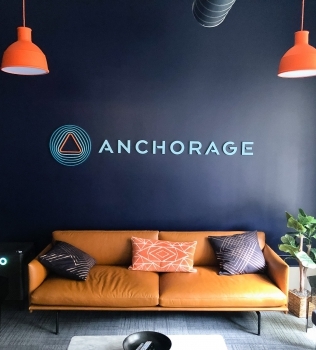 Painted, multi-color acrylic sign on a dark, navy blue wall for the lobby of Anchorage, a San Francisco-based company focused on creating custody solutions for the cryptocurrency ecosystem. 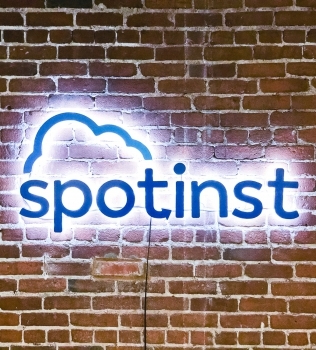 Illuminated, painted blue sign on brick conference room wall for Spotinst, a San Francisco company that creates intelligent workload software. 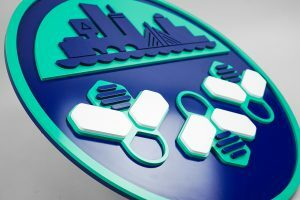 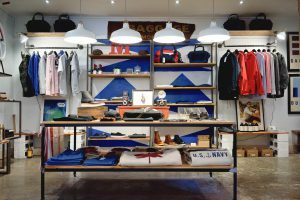 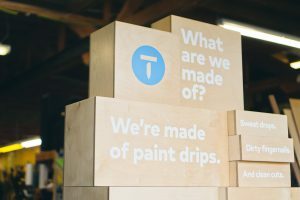 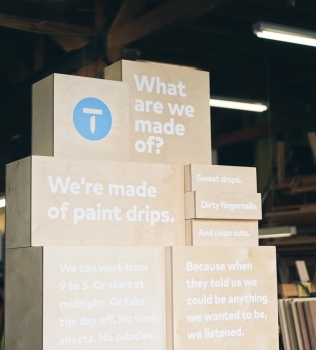 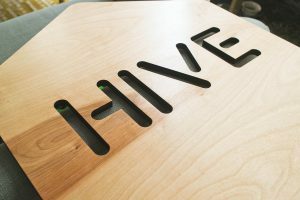 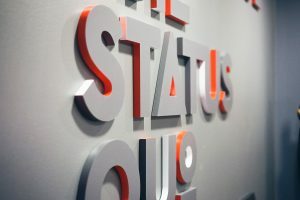 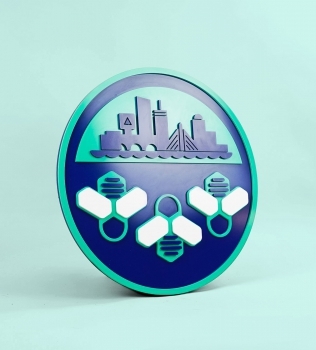 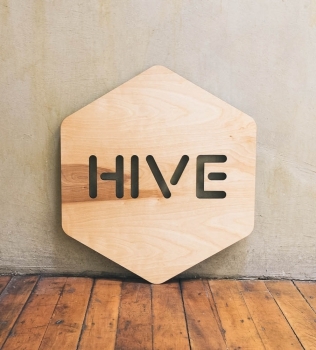 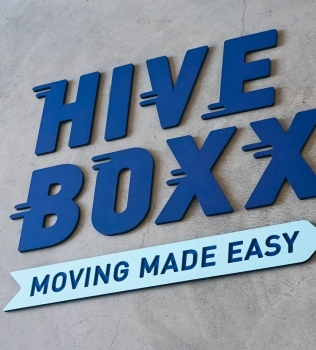 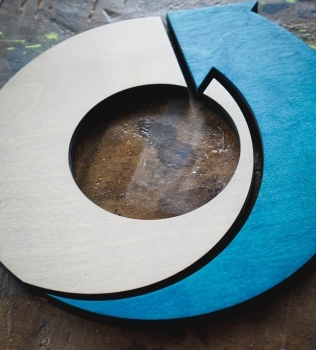 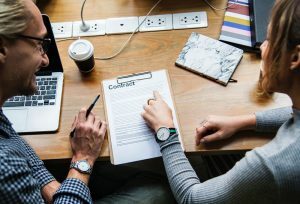 Layered, painted acrylic signs for ThriveHive, a Massachusetts-based firm known for its award-winning marketing software designed specifically for small businesses. 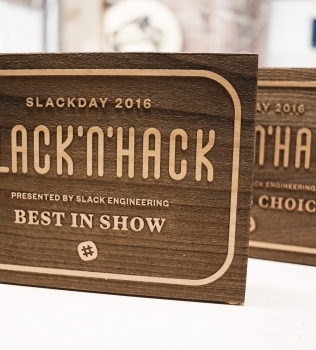 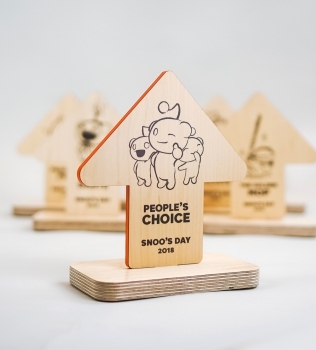 Custom wood, arrow-shaped 2018 hack day awards for Reddit, an American social news aggregation, web content rating, and discussion website. 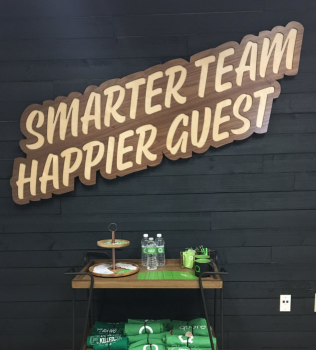 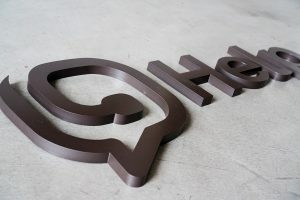 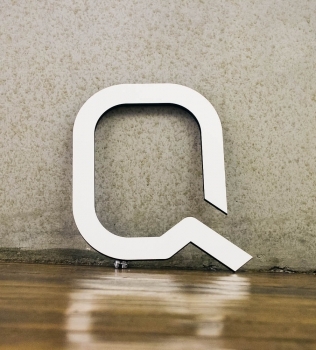 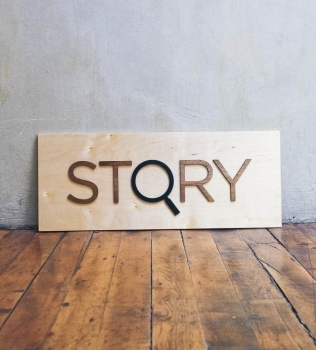 Script wood sign of the "Smarter Team, Happier Guest" motto for the office of Quore, a tool that changes the way people work with colleagues, interact with guests, and operate hotels. 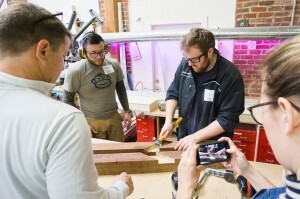 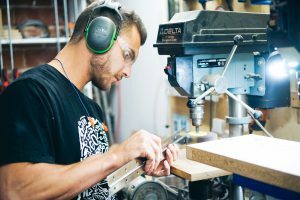 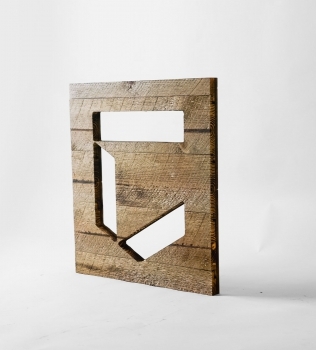 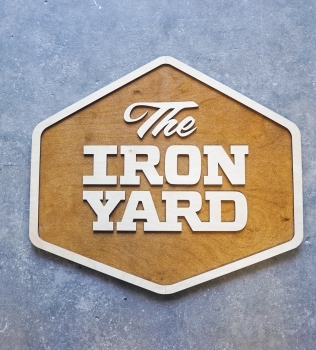 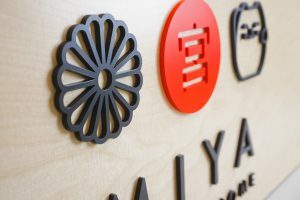 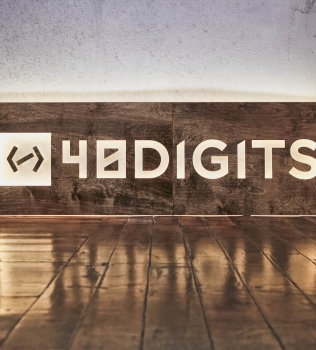 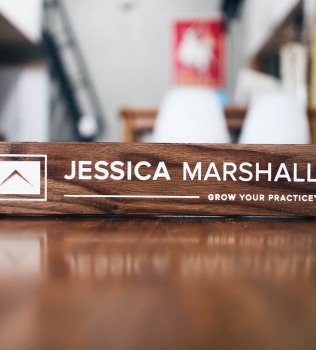 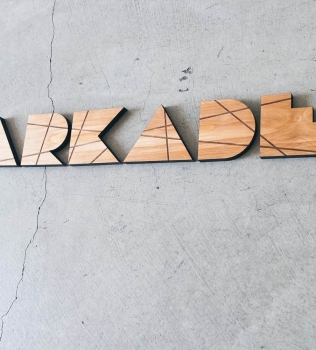 Raised two-toned wood sign for The Iron Yard, a 12-week coding school offered in multiple cities across the US and in London. 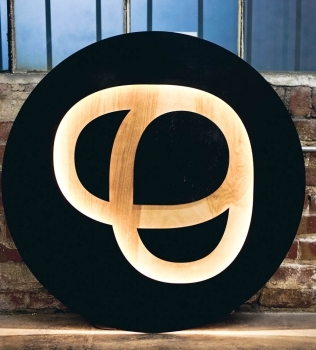 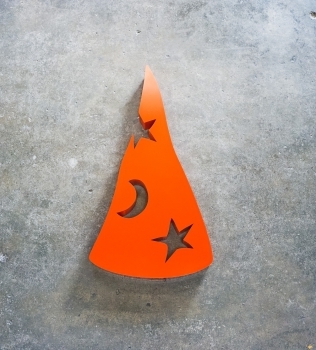 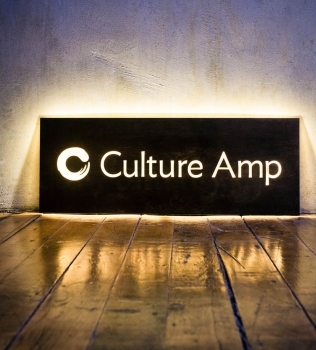 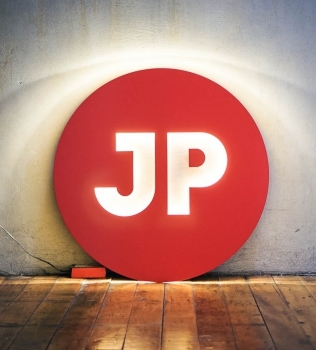 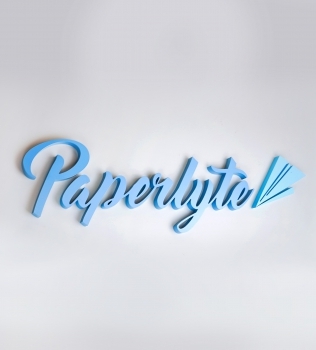 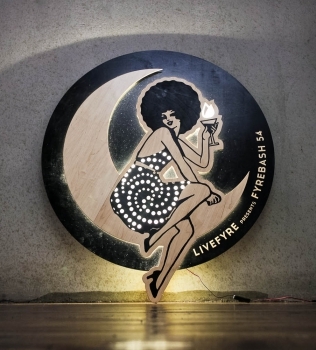 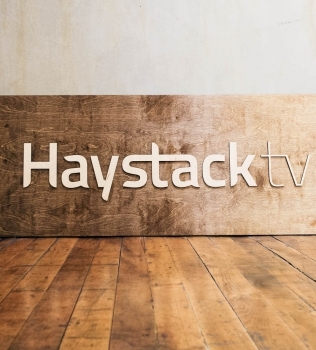 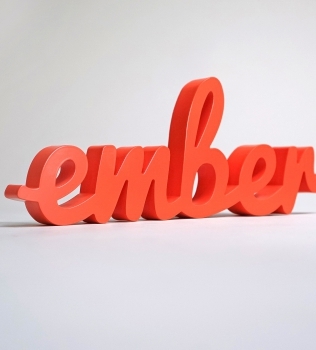 Illuminated wood and painted acrylic sign for Paperlyte, a media production company specializing in live streaming, video, documentary, and commercial content. 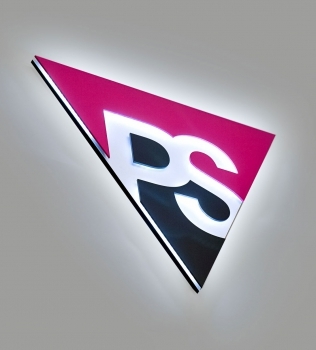 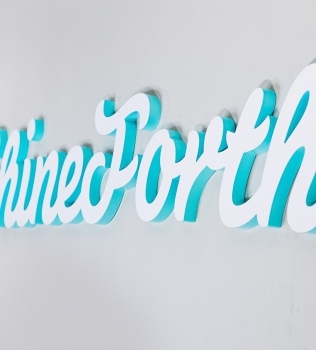 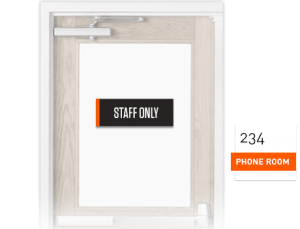 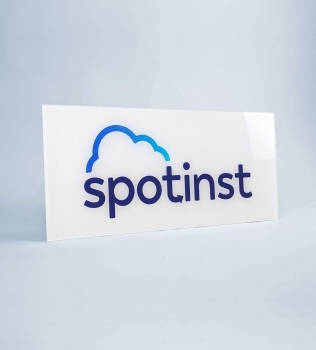 Glossy, glass-like back printed panel sign for the office of Spotinst, a San Francisco company that creates intelligent workload software. 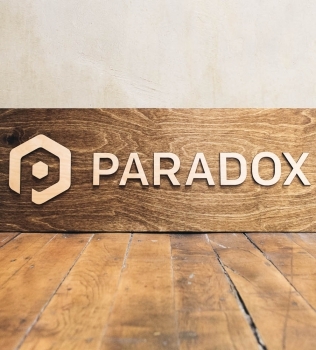 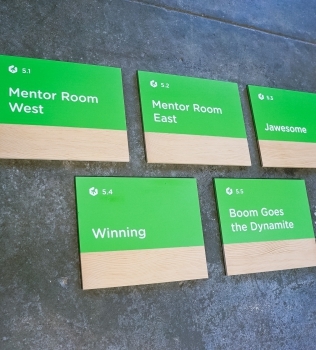 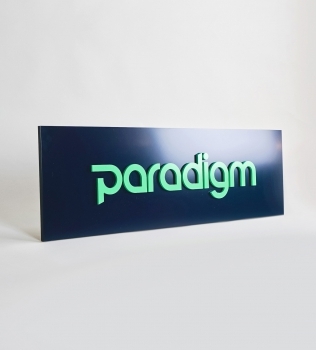 Green and navy, modern, raised text panel sign for Paradigm, a tech company currently located at co-working space WeWork in Oakland, CA. 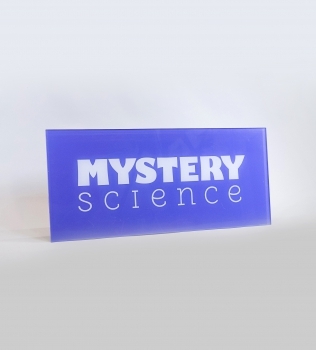 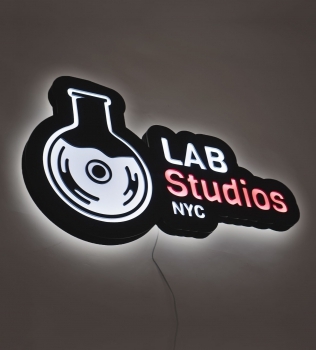 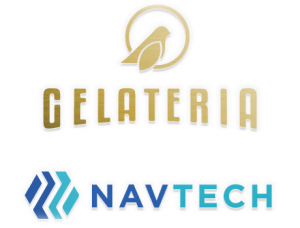 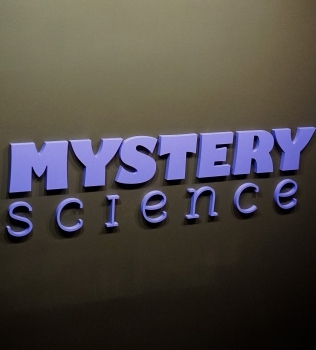 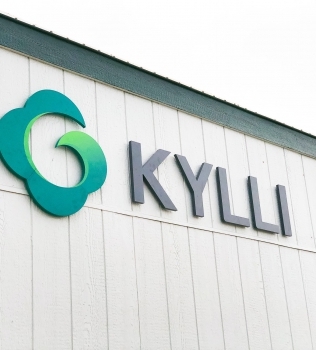 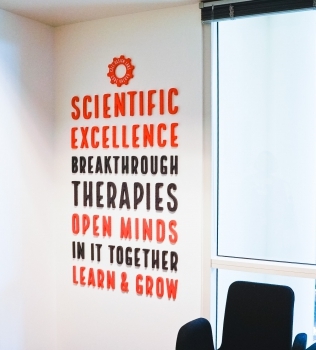 Glass-like colored panel sign for the Knotel designed Mystery Science lobby, a company that provides open-and-go lessons that inspire kids to love science. 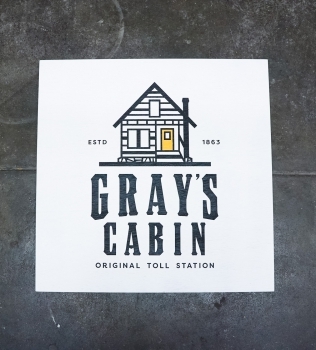 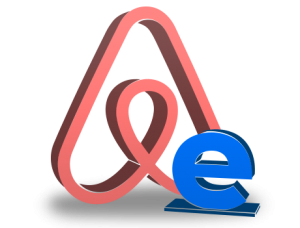 Modern post sign for OLAB, a visual design studio who moved into a frontier-style, rough timber building—also the oldest building in Truckee, dated 1858. 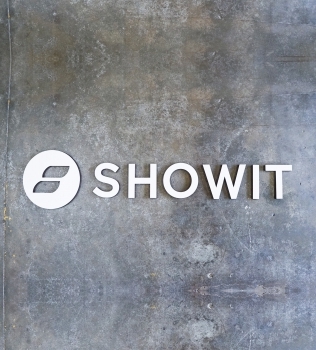 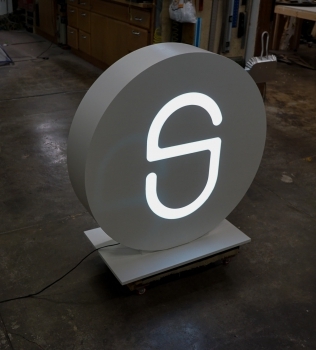 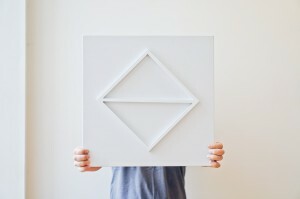 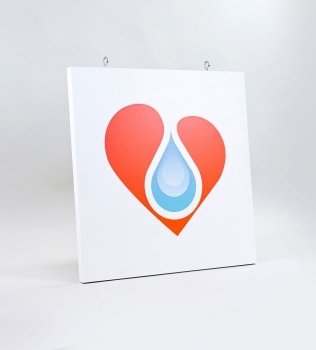 White floating wall sign for Showit, a company that creates a website builder for photographers. 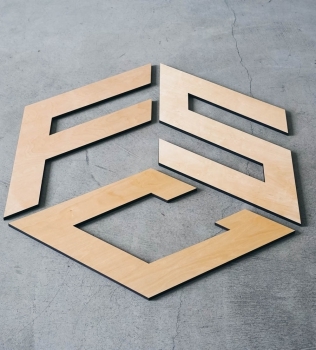 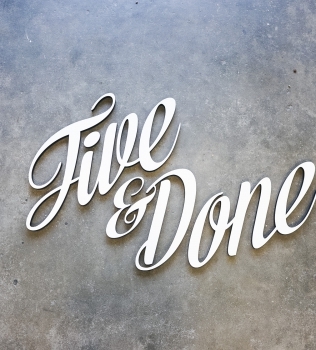 White script sign for Five & Done, a creative agency. 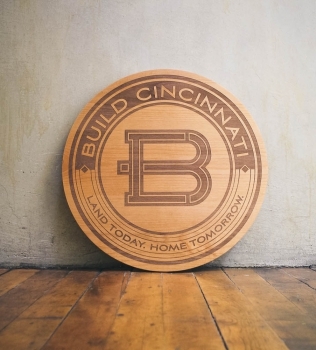 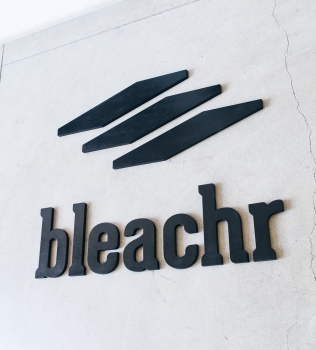 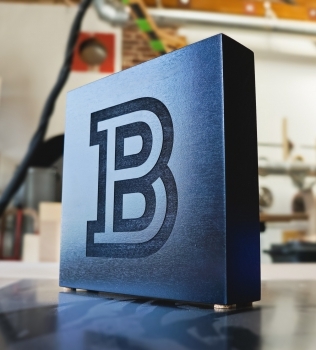 Black painted wood logo for Bleachr, who creates a mobile platform built for athletic teams. 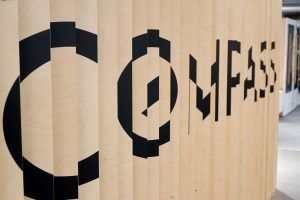 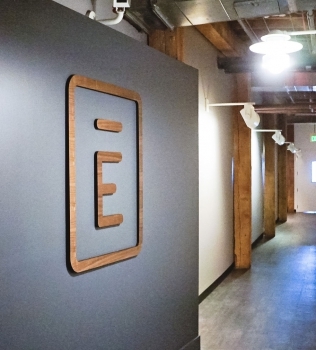 Dark wood company logo on grey wall at Envoy, a San Francisco based tech company that creates visitor management software. 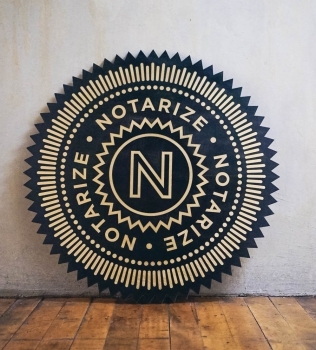 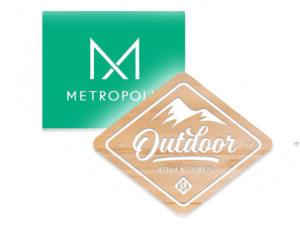 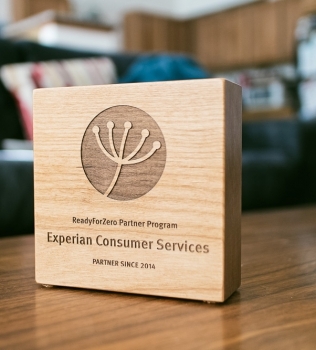 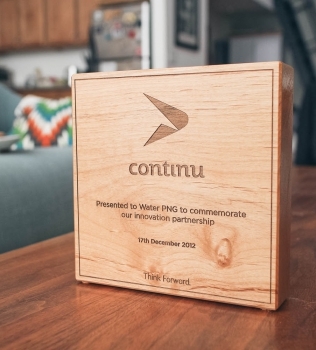 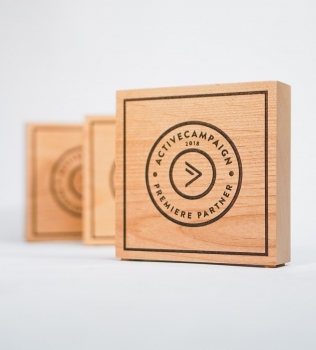 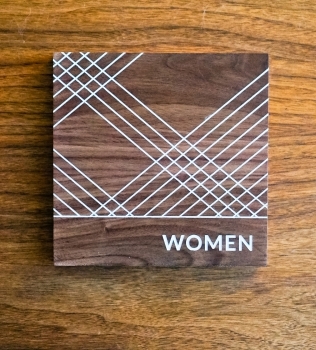 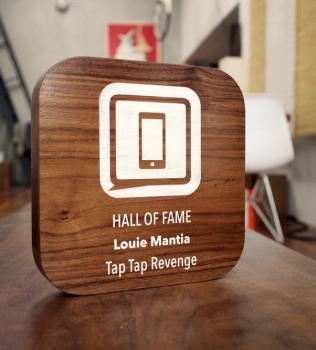 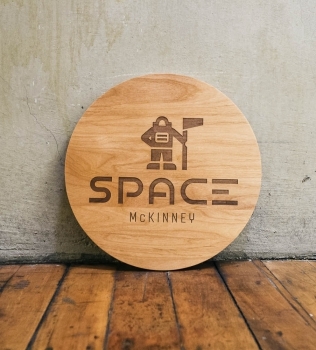 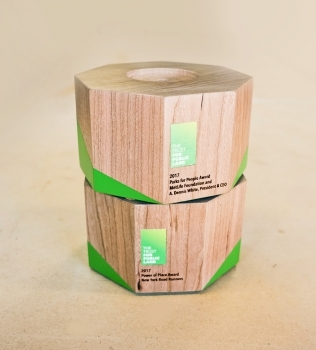 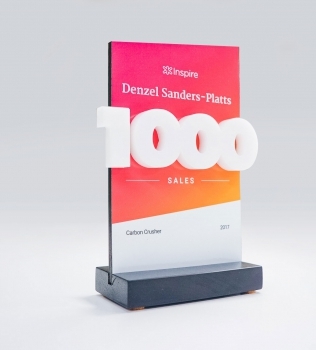 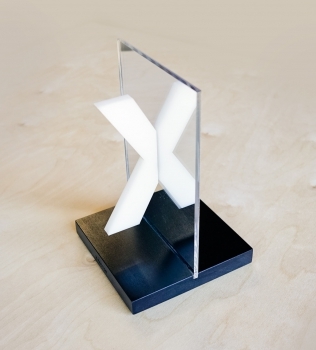 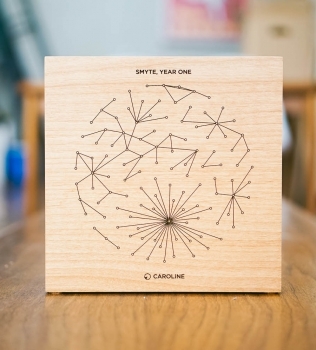 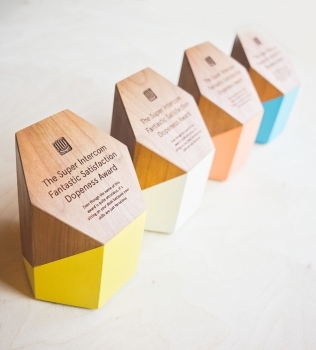 Engraved wood block partner awards for Active Campaign, a company that creates email marketing tools. 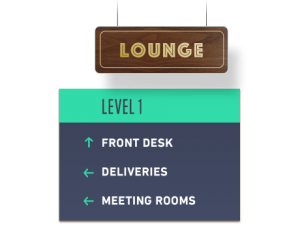 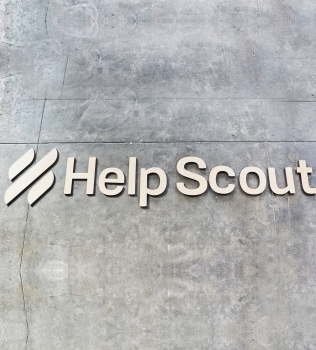 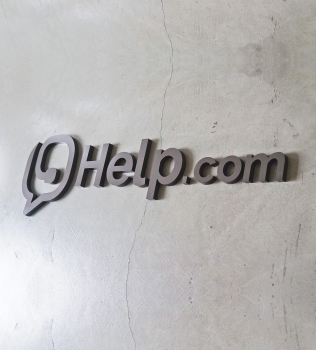 Bronze painted lobby sign for Help.com, an Austin, Texas based company that creates live chat and help desk software. 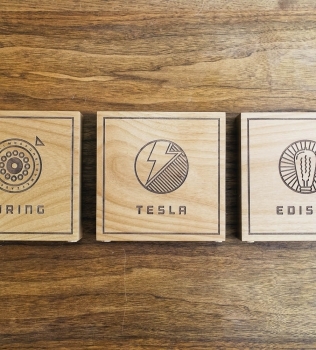 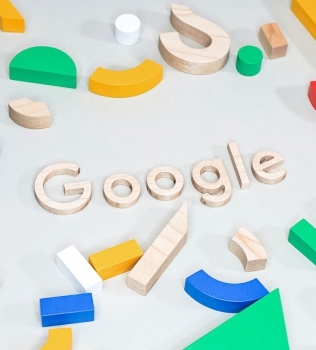 Custom made wood blocks made for a stop motion video promoting the Google Science Fair. 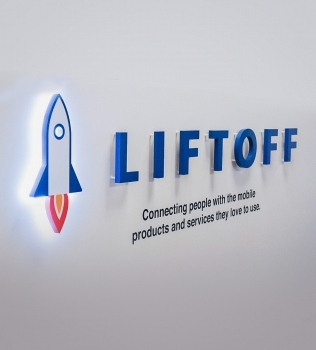 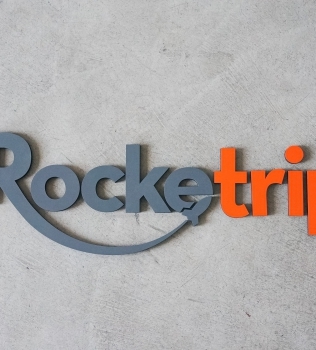 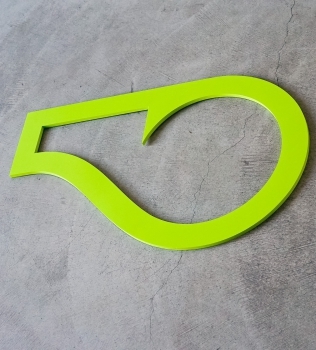 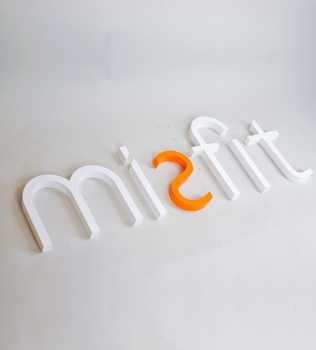 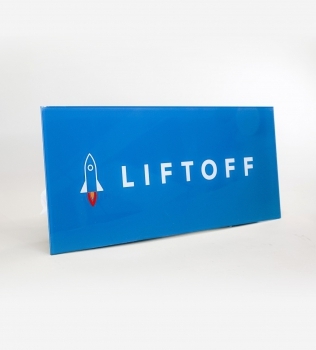 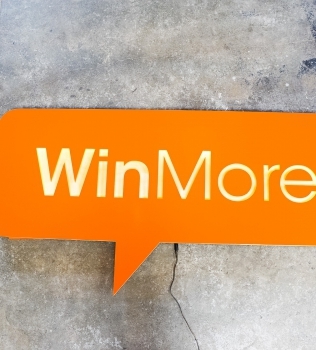 This back printed/painted acrylic sign was made for Liftoff, a full-service mobile app marketing platform in San Francisco, California. 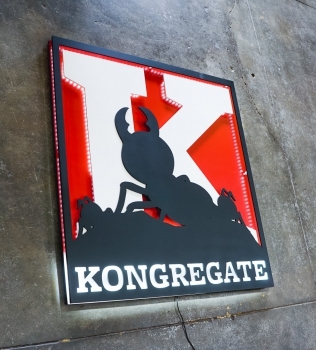 Illuminated propaganda style sign in red, white, and black sign for Kongregate, a gaming company. 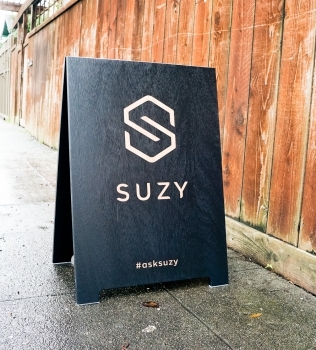 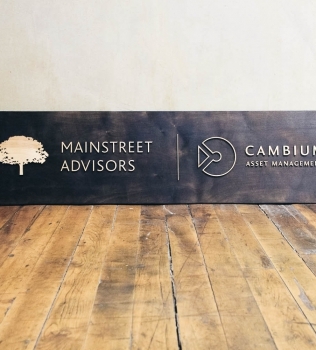 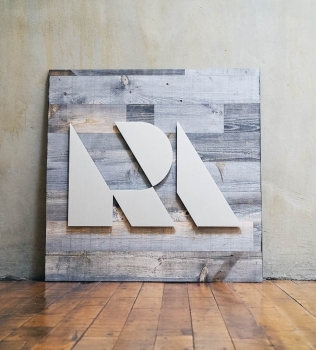 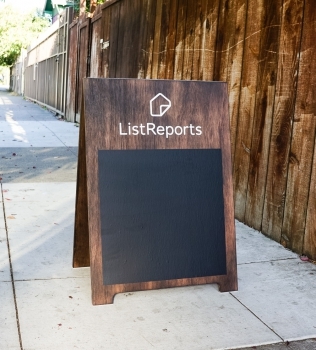 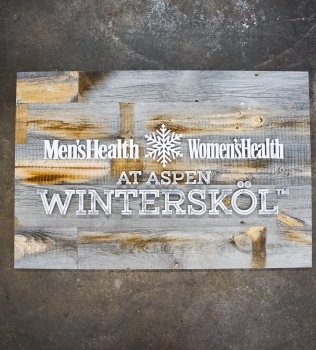 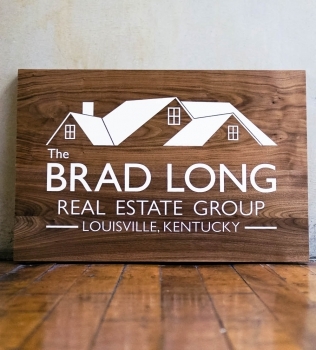 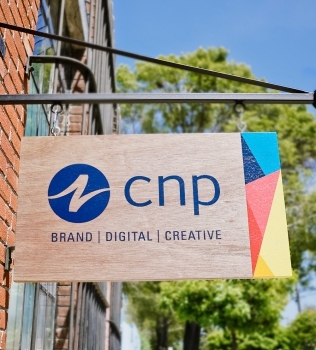 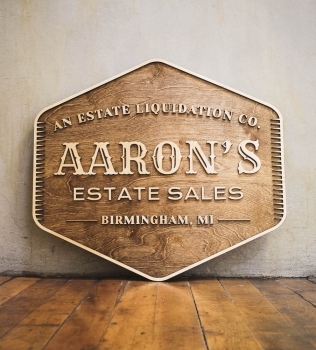 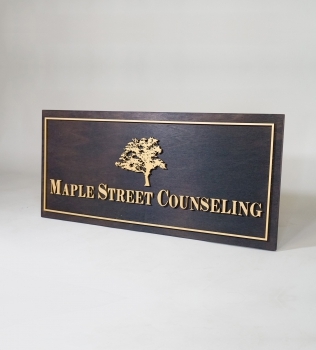 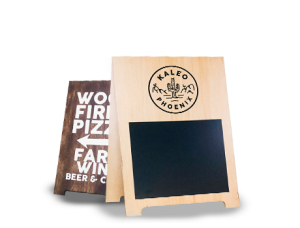 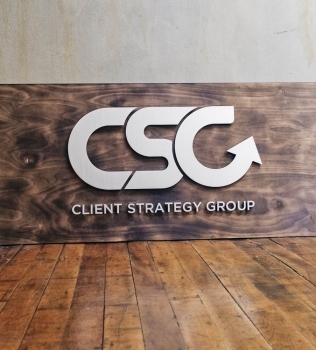 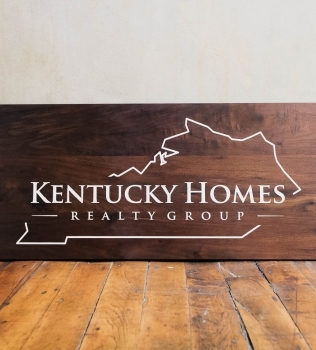 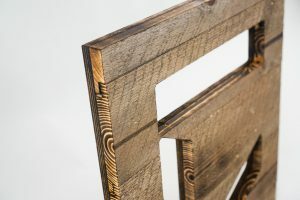 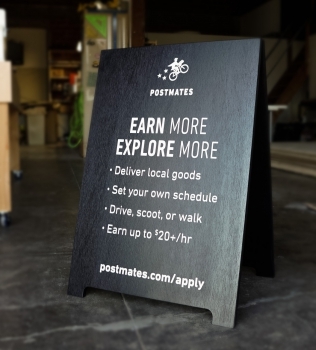 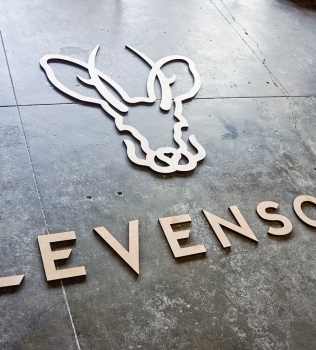 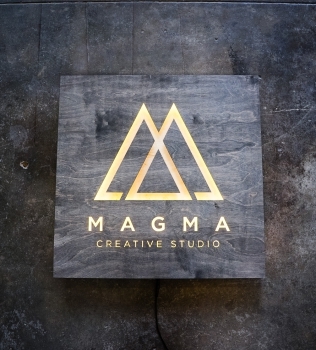 Rustic, torched wood a-frame sidewalk sign with chalkboard for tech company ListReports. 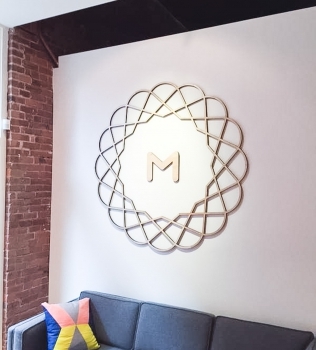 Color on color motto sign for the lobby at Envoy, a San Francisco based tech company that creates visitor management software. 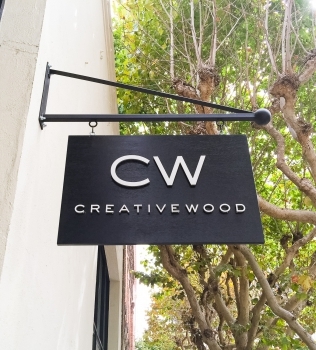 White-painted wood, California ADA signs for the office of Slack, a cloud-based set of proprietary team collaboration tools and services. 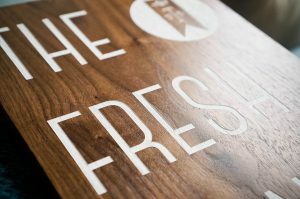 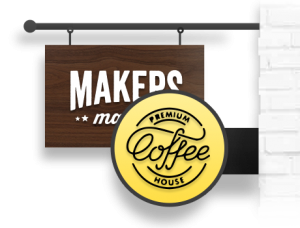 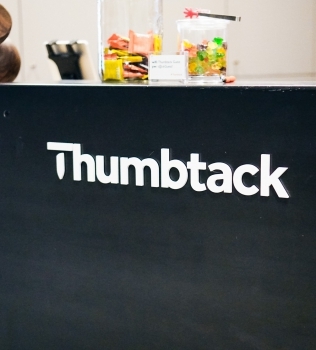 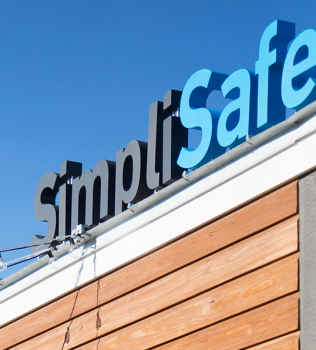 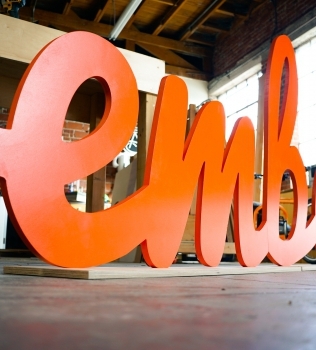 Suspended wood signage for the cafeteria of Thumbtack, an online service that matches customers with local professionals.